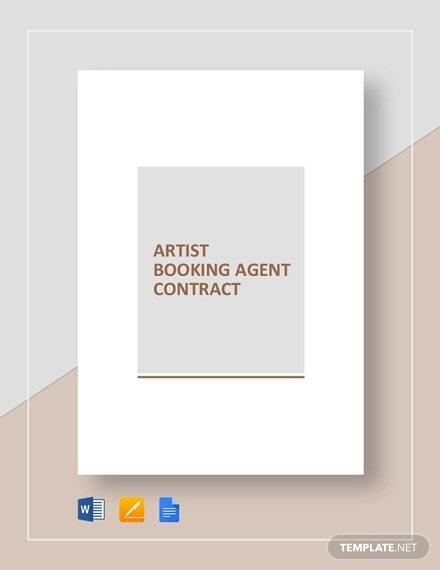 An artist contract is a type of document in which an agreement between an artist and a manager is arranged. It’s similar to how management contract is arranged. This type of contract contains a scope of description, authoritarian terms and conditions, rights for compensation and benefits, and this also includes other necessary provisions. This can also be an agreement between an exhibition organizer and the host setting. 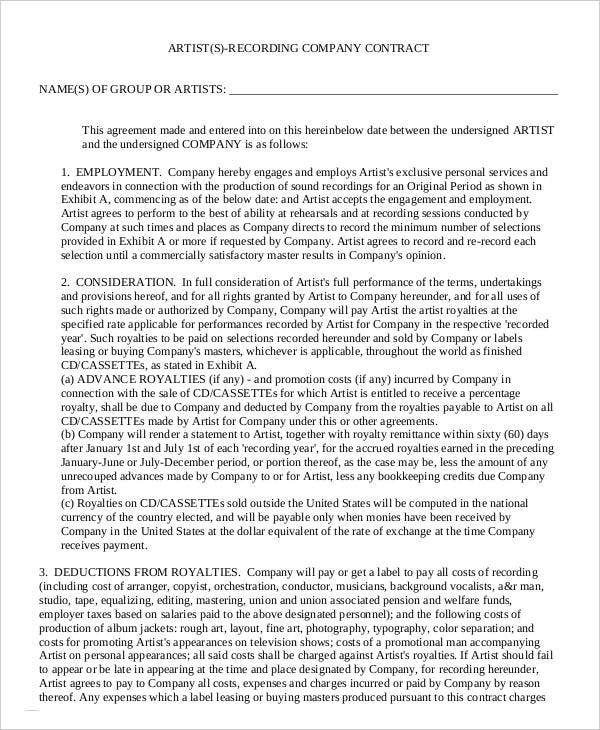 Template.net offers a wide variety of artist contract templates. 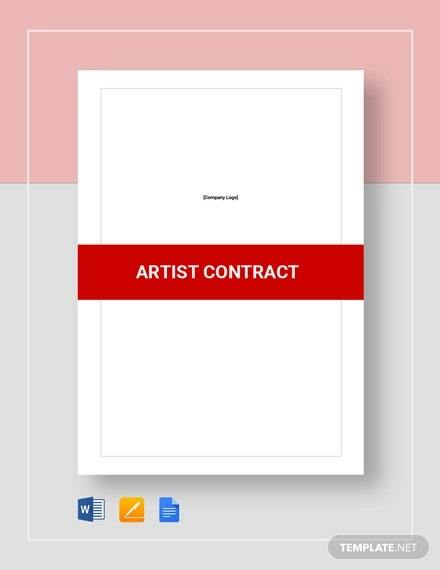 These templates are created by experts for a more professional and useful artist contract. 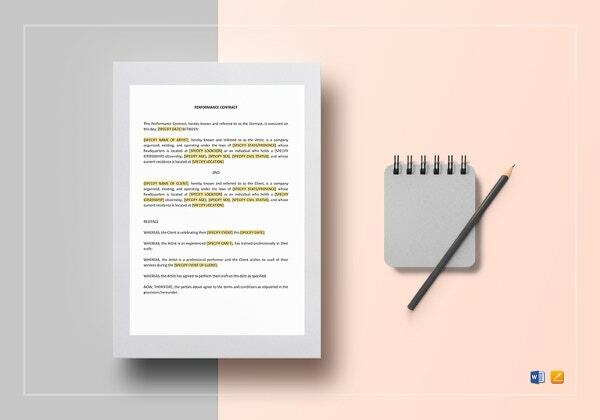 If ever you want to save yourself from all the stress and time-consuming way of making an this type of contract, these templates are what you need. 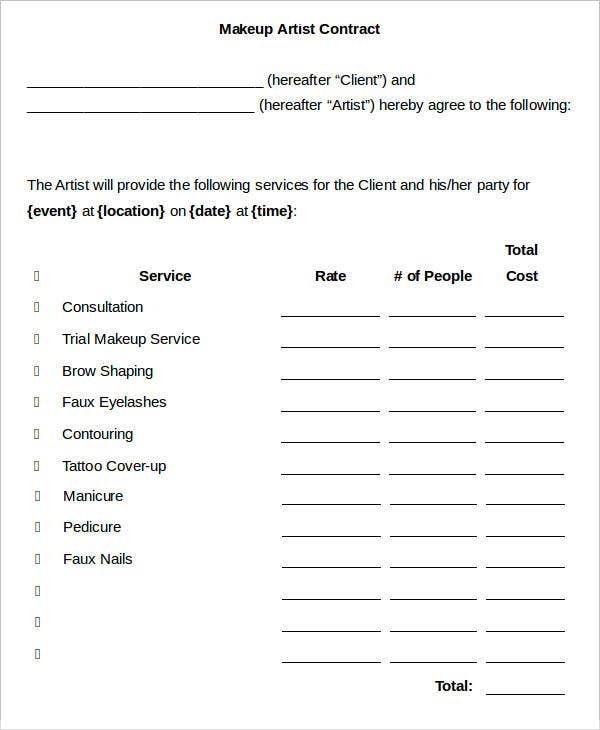 Makeup Artist Contract Template – This type of contract focuses on makeup artists. This is an agreement between makeup artists and their potential clients. If you need this one, you can download this template. 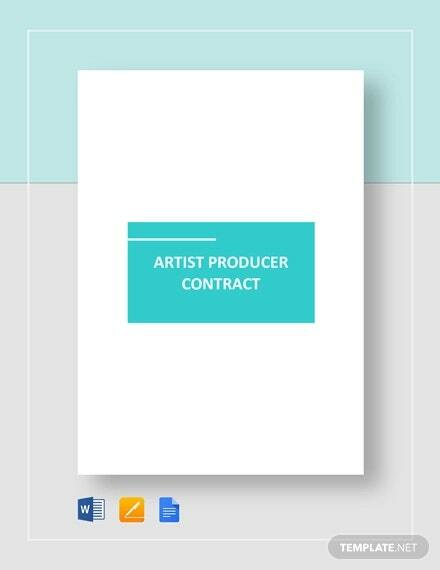 Artist Recording Contract Template – This the type of contract used for groups or solo recording artists providing a record label that has exclusive rights to their music and composition. 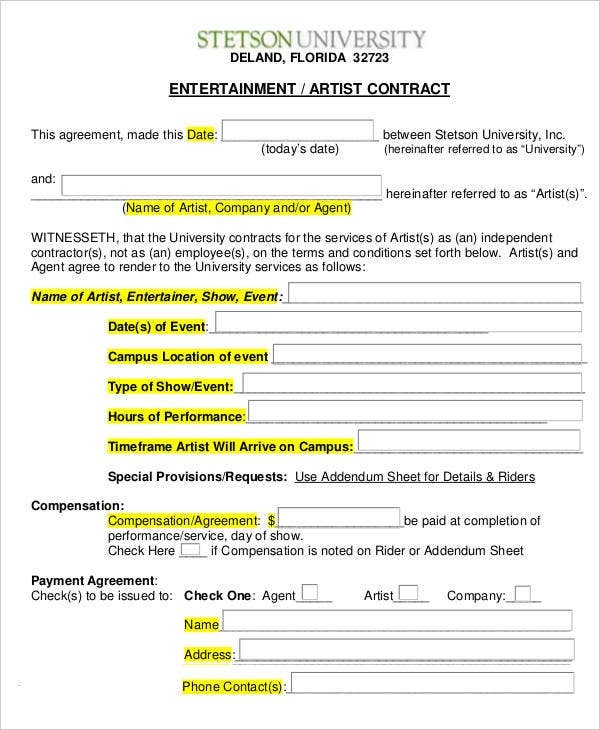 Entertainment Artist Contract Template – This contract is designated for an entertainment artist and an entertainment company. 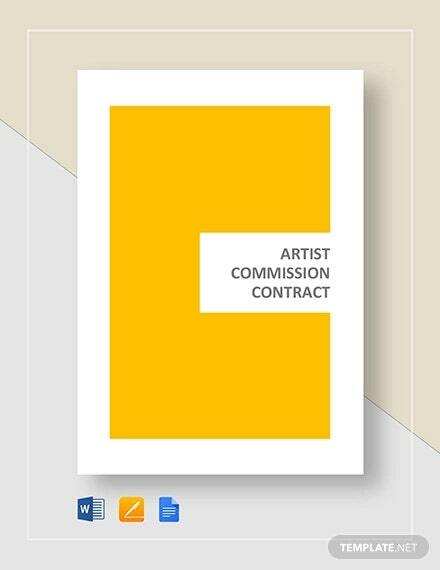 This contract also displays the artist’s obligations as well as the terms and conditions. 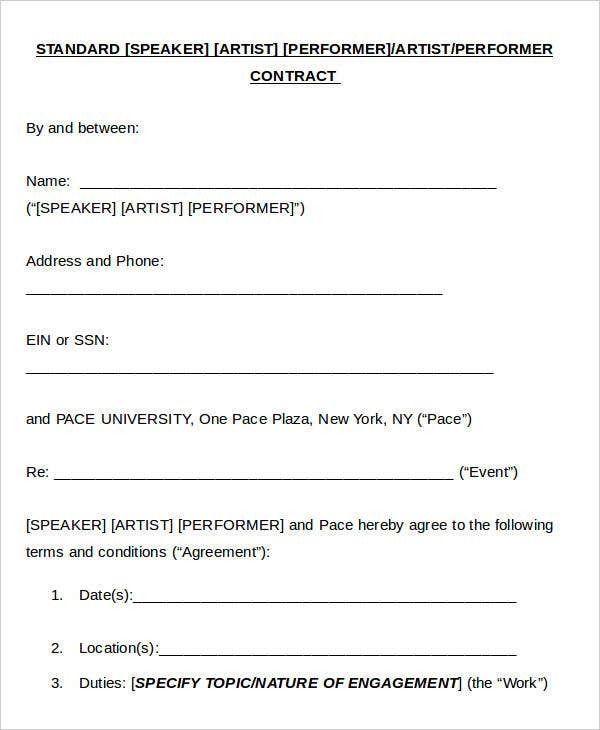 This is highly similar to performance contract templates. 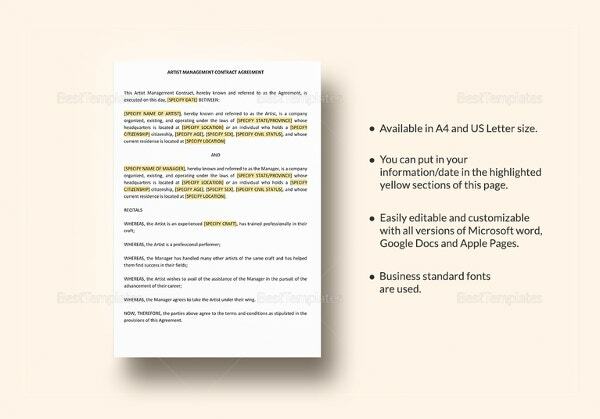 Graphic Artist Contract Template – If you’re looking for a contract sample that is designed for graphic artists, then this template is what you need. 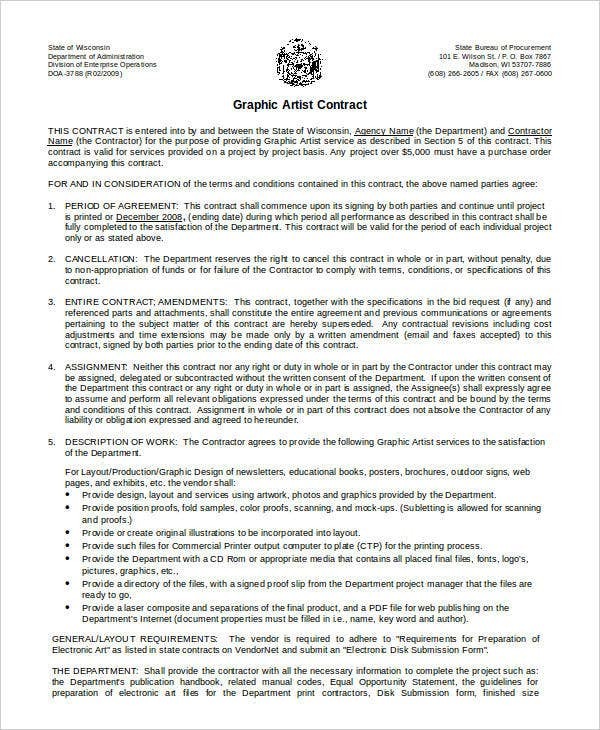 Complete with all essential details that a standard graphic artist contract should have, including compensation, the date of delivery, and other specifications. 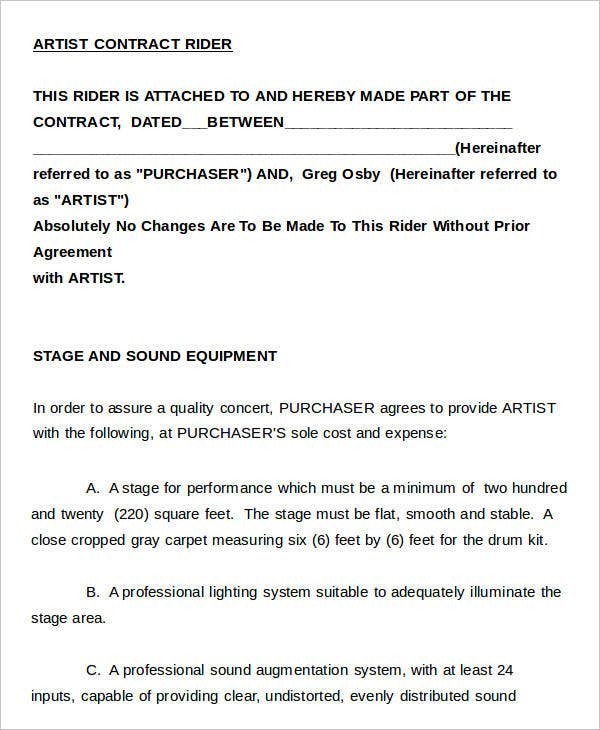 Artists should not ignore the importance and value of legal document and contracts. Why it is important? Let’s say, for example, you’ve started to display your work outside of your studio, or perhaps you’re considering promoting your masterpieces in places which are owned by other people, there is a consignment for this and this can be found in an artist contract. Contracts are just documents that show an agreement between two parties. However, with an effective and great artist contract, it anticipates unwanted outcomes for either side and helps in creating a clear and understandable path in achieving desired outcomes from the business relationship. Good contracts really make good partners for business. In every business relationship you have, a contract will document what you want and what you need in order to meet it. 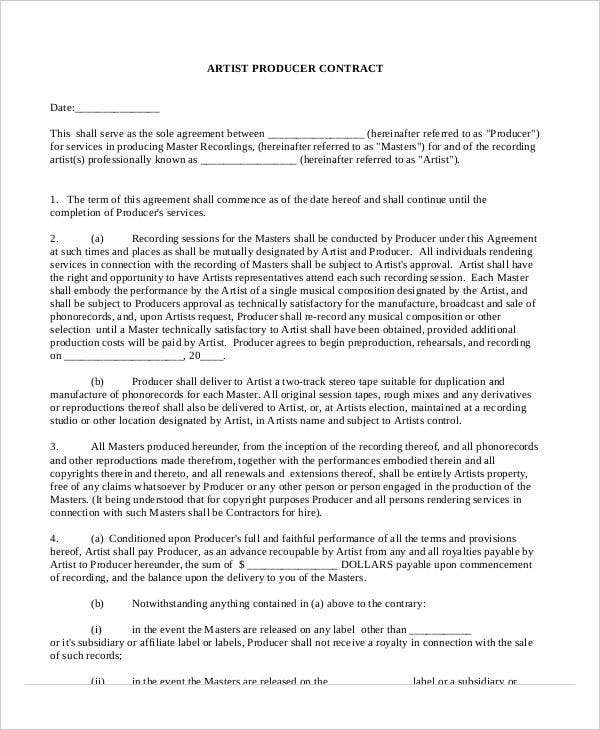 An artist management contract, in this sense, can also ensure that the artist is getting the support he needs to reach his goals. 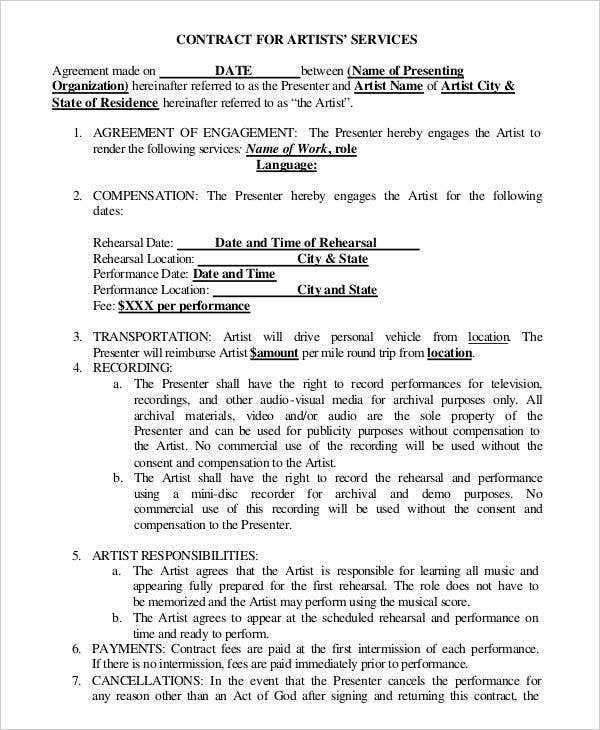 Artist contract will protect your rights as an artist and ensure that the artist himself will respect the rights of the chosen business partner. 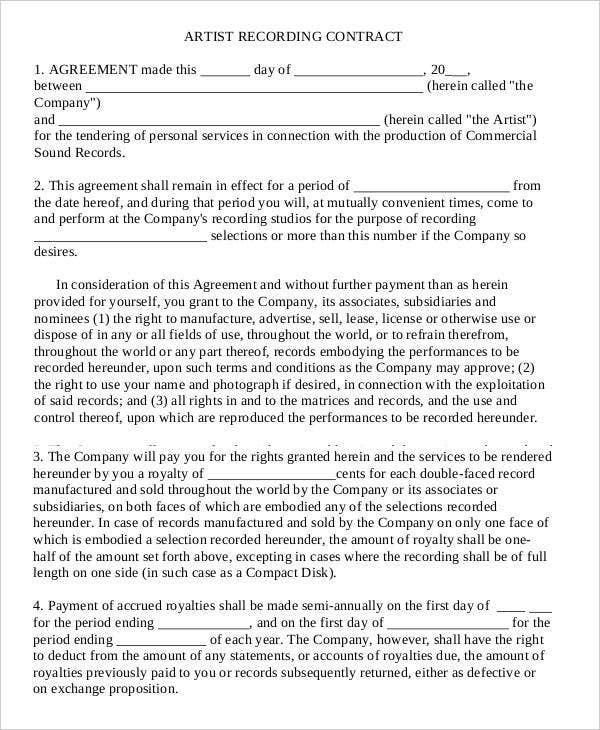 Now, to suffice your need for an artist contract, these available templates can help you in making an artist contract.